The trends of IP and HD technology is the most discussed topic in video surveillance industry. Though the ip video surveillance market is small but it's booming. We are manufacturer that 's the first group of company that catch the trend. we are dedicated in new design all in one wireless wifi HD ip cameras with best price and 2 year warranty. 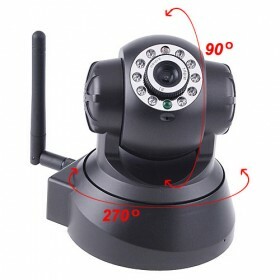 We supply IR Wifi Dome camera, PTZ ip camera, desktop ip camera , Pan/Title camera. Email Motion alerts to @gmail and others. * 32-bits RISC processor and special video encoder which can be up to Mega pixels encoding performance. * Built in Microphone and Speaker, Support External microphone or line-in audio input signal. Audio support G.711 and G.726 types. * Built-in web server, support video view and parameter settings by browser. * Support UPNP function . 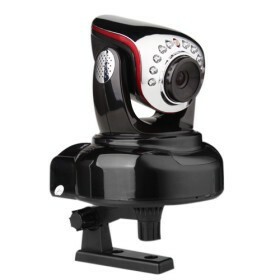 * Support 4 area motion detection, and can connect to external sensors. * Alarming record by e-mail. * Supports mobile phone watching. * Supports three level of user authority. * Supports online upgrading . * Manufacturer Device ID, DDNS at the bottom of each IP Camera. * Manufacturer provides free Central Management software, support Multi-view, record and play ,etc. * Support several browsers, IE, Firefox, Safari and Opera etc. Support video view by MAC . Please contact sales@midwec.com for live demo url and best price list.